Lauri, the head crow over at CrowsToes Nail Color, sent me her polish for April’s Polish Pickup Pack. I’ve been wanting to try this tutorial for awhile, so I figured why not? I have to say, I think it came out spectacularly! I will have swatches of this polish soon, but for now remember that it will be available April 6 through the 9 only at Polish Pickup Pack, and it will be $12. As soon as I drink my coffee in the morning, I feel more human. I don’t know how anyone can be a morning person. I am pissed when I wake up in the morning. Ever since I started working from home, I roll out of bed 30 minutes before I have to be at my desk…I try to take a shower and wear normal clothes but that doesn’t always happen. 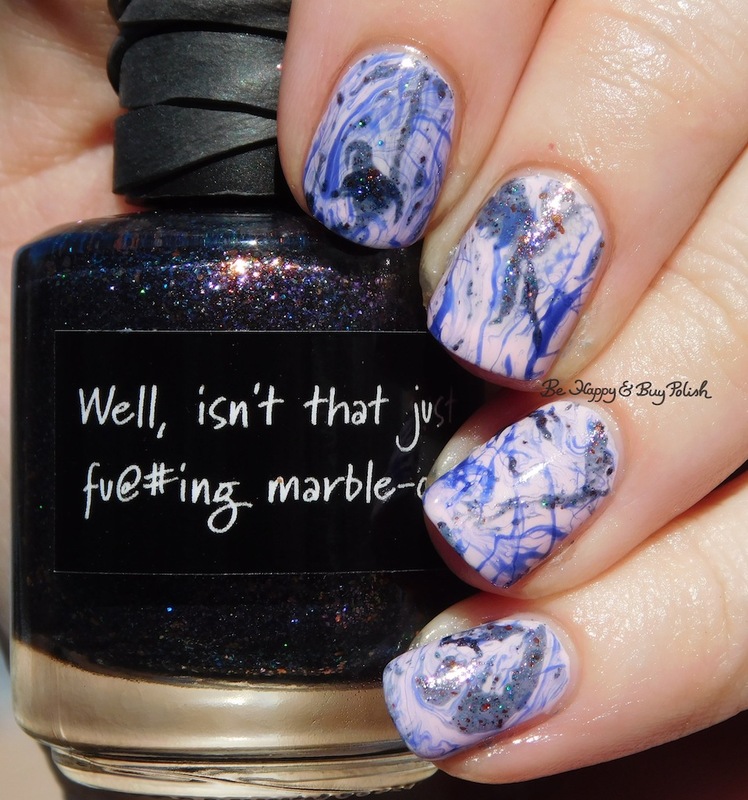 lol Wow, your watermarble came out out so good. I took a look at the tutorial, and I am so going to try it. 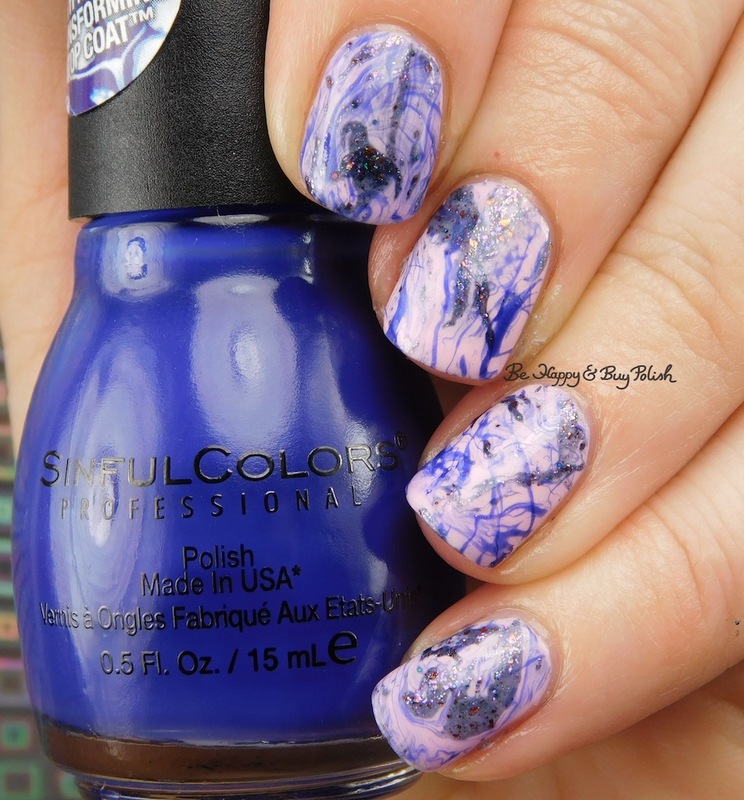 This weekend I did a drip marble mani and I did a sorta complicated stamping mani. I was so irritated by the end. I hate getting up early but damn if sitting by myself isn’t worth it! Haha! 😆 I hope you do try out the tutorial, I’d like to see what you come up with!